Uh, do I see the devil ice skating over there? Donald Trump loves attacking mainstream news networks whenever they report unflattering information about him, but what will he do when that network is his favorite, Fox News? Will the president condemn his favorite conservative network for making him look bad? We’re about to find out. 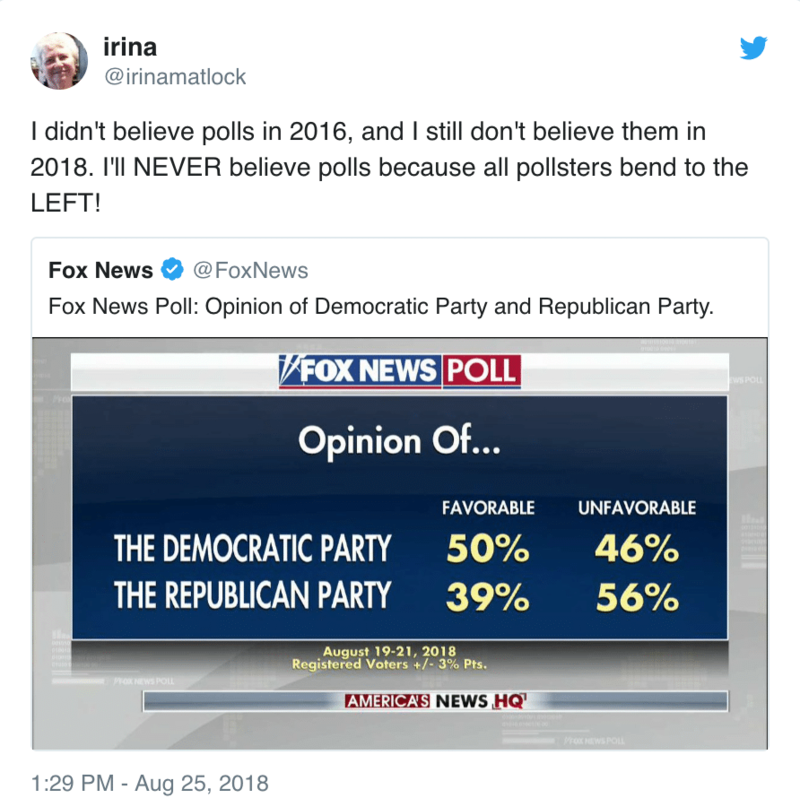 Fox News basically caused a meltdown from Trump and its GOP fans when it shared some honest poll numbers (for once). Earlier today, the pro-Trump network posted a graphic on Twitter that showed the results of a recent Fox News poll, which conflicted with the network’s own political ideology. By now, we all know that the people who watch Fox (including the president) don’t like to believe facts — so of course, they refused to believe the results and began treating Fox like the “fake news” networks they regularly attack. This move by Fox was certainly unexpected, and signals that the network just might finally be coming around.